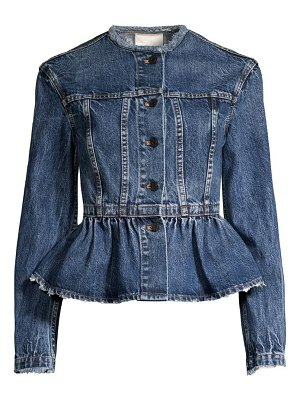 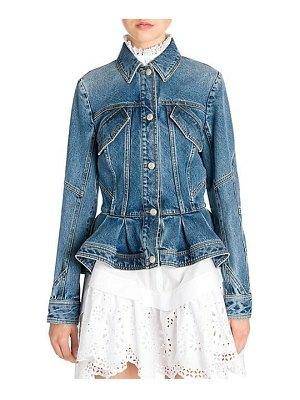 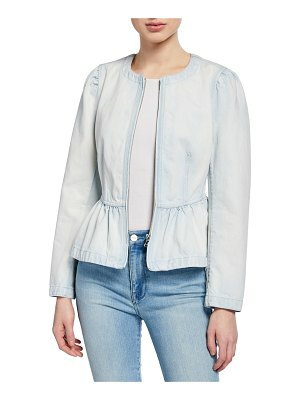 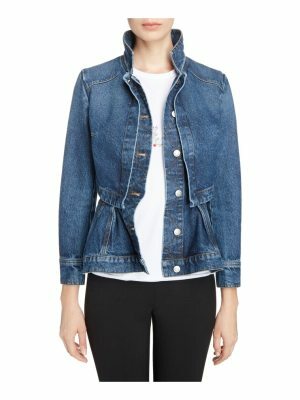 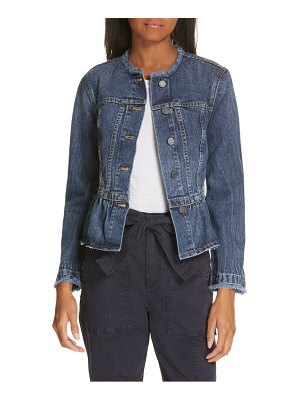 The romantic and rock'n'roll spirit of Alexander McQueen is constantly being updated, as this denim peplum jacket proves. 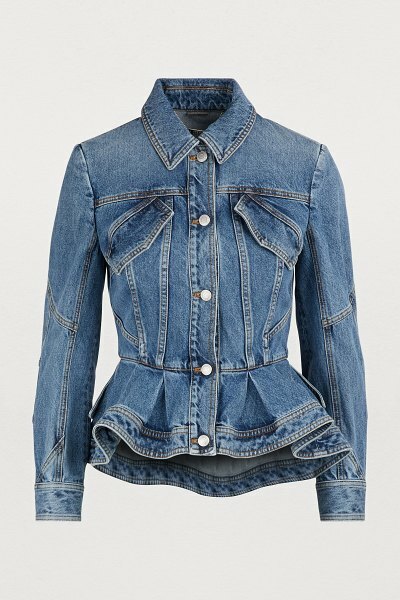 The jean material is worked to be perfectly tailored, with an eye towards exalting your femininity. 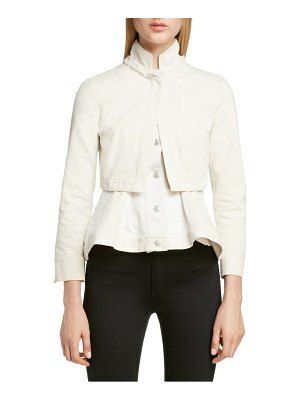 The traditional details like the shirt collar and flap pockets are given a twist by an overskirt, rippled like a flower's petals. 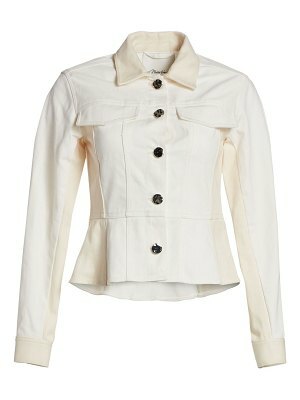 Dare to wear it with a pencil skirt, for an offbeat look.